As enterprise social networking continues to mature, different voices emerge with varying opinions. For current and potential adopters there are a lot of important questions to ask and ideas to take into consideration. How does an enterprise social network like Mangoapps fit into my enterprise? What is the return on investment? How do I strategize? How are other organizations using it? As you look into and continue to learn about enterprise social business, we encourage you to look to experts, vendors and other users to form thoughts on the strengths and downfalls of the technology. Here are 5 of our favorite Enterprise Social Business books to help get you started. This strategic guide focuses on how to solve internal business challenges using emerging social and collaborative tools and provides a comprehensive strategy guide to emergent collaboration in the workplace. The book is endorsed by top executives such as the former CIO of the USA, CMO of SAP, CMO of Dell, CEO of Unisys, CEO of Geneys (and former EVP of Alcatel Lucent), Co-founder of Salesforce, SVP at SAP and several others. As one of the must-read enterprise social business books, Enterprise 2.0 provides insights into how to manage social technologies to transform your organization. McAfee coined the term Enterprise 2.0 and in his book, he makes clear that new technologies are useful for much more than just socializing. When properly applied, they help businesses solve pressing problems, capture dispersed and fast-changing knowledge, highlight and leverage expertise, generate and refine ideas, and harness the wisdom of crowds. The book brings together case studies and examples with the principal concepts in a clear, accessible, and entertaining style. 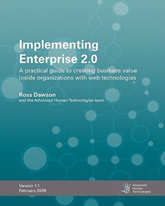 Implementing Enterprise 2.0 is a practical guide to creating business value inside organizations with web technologies. The book provides detailed practical insights into how to build substantial business value with web technologies, supported by numerous case studies of successful implementation and lessons learned. Implementing Enterprise 2.0 provides detailed coverage of each step on the Enterprise 2.0 journey, assisting executives to understand benefits and risks, take informed action, and implement successful initiatives. Authors Bradley and McDonald are two of Gartner’s lead analysts and strongly advocate exploiting social technology. A classic of the enterprise social business books genre, The Social Organization shares insights from successes and failures at more than four hundred organizations. The book highlights the benefits and challenges of using social technology to tap the power of collective effort, packed with practical advice and compelling examples. Learn how you can make collaboration a source of enduring competitive advantage in your enterprise. This book provides you with an actionable framework for developing and executing successful enterprise social networking strategies. Using straightforward language, accompanied by exhibits and fleshed out with real-world stories and revealing anecdotes, you will learn how to develop your internal corporate social media strategy. Through the use of in-depth interviews with leading companies, you will also discover best practices that will propel your business to new heights. MangoApps is an employee platform that combines popular applications like Intranet, workspaces, file sharing, knowledge management, messaging, training, recognition and more into one comprehensive portal. Companies of all sizes deploy the MangoApps platform to centralize these must-have functions into one single tool. This powerful platform approach gives employees everything they need in a simple, easy-to-use interface increasing engagement, productivity, and collaboration across your entire company. MangoApps Wins Over a Retail Giant in the U.K. 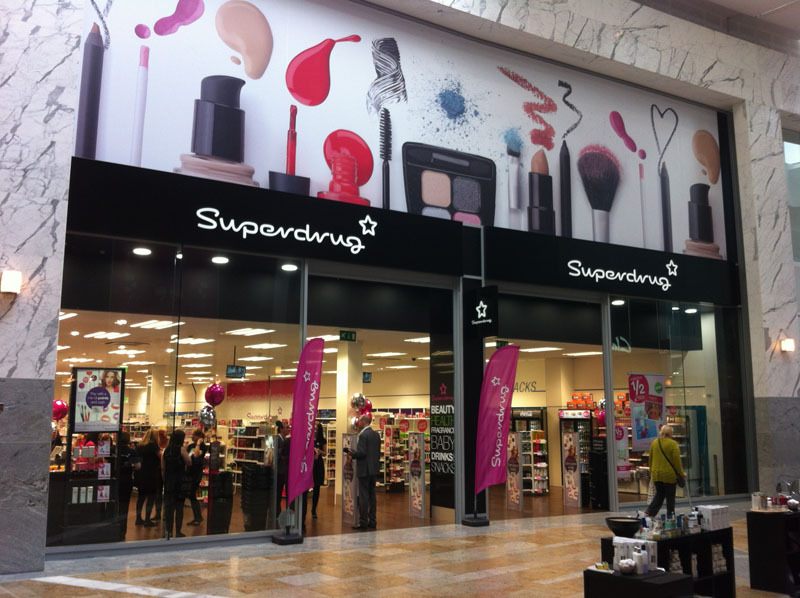 When Superdrug was looking for an innovative and updated intranet, MangoApps was the obvious choice. Download our new case-study!